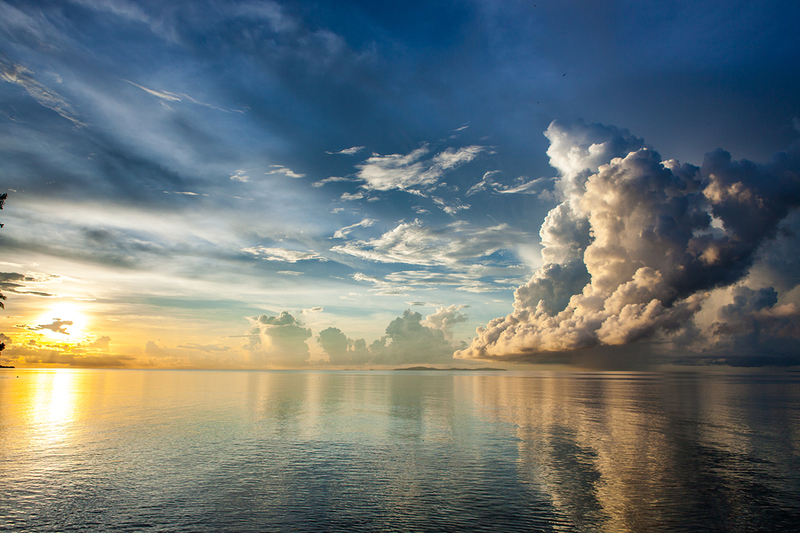 As consumers keep choosing cloud subscriptions over the original software license, more and more vendors are making the switch as well. Microsoft only released Office 365 in 2013 but 85% of Fortune 500 companies have at least one of Microsoft’s cloud product and 50 000 new small businesses sign up for Office 365 every month. With such demand, will all vendors eventually only offer cloud subscriptions? If that’s the case, we must be ready for it- financially. 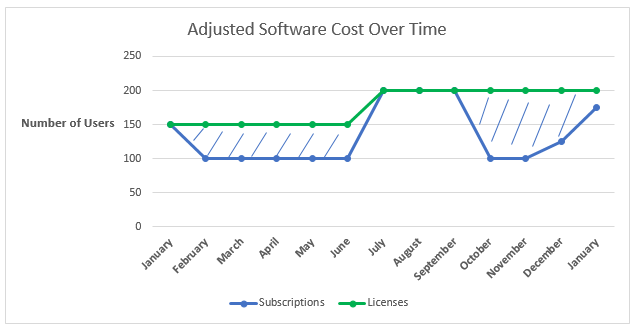 Subscription costs are actually only perceived as being less expensive because the repetitive rate is lower than the upfront cost of a software license. However, over time, subscriptions actually turn out to be more expensive. 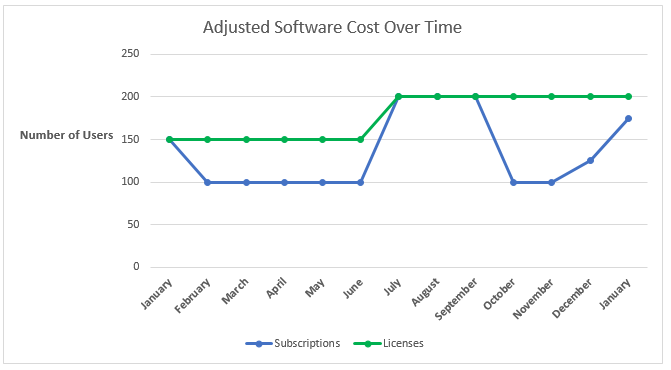 In the simple graph below, the cost of the software license is $125 in the first year and $25 cost every year after for maintenance and upgrades. The subscription cost is a standard $50 every year. By the fourth year, each model reaches the same accumulated costs and the subscription model becomes costlier after that point. However, the example above assumes your organization will have the same needs over a period of four years- which is highly unlikely. 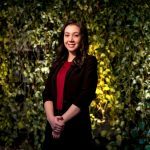 Normally, an organization hires more employees, changes goals, adapts to its industry trends and evolving customers. 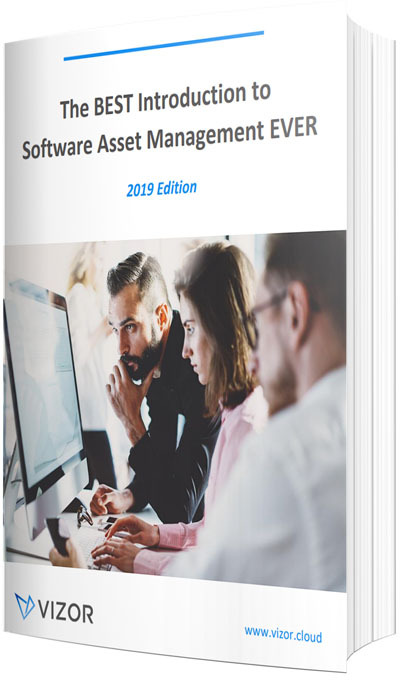 There are multiple changing variables that can affect the quantity of software you need, like number of employees, number of customers, number of projects or anything else that may fluctuate. Therefore, a more realistic example of the costs of each model is like the graph below. In the graph, the software being used is dependent on the number of end users- the more users, the more licenses you need. To give you a better perspective, this can be an example of Microsoft Office vs Office 365. You start the year with 150 employees and quickly go down to 100 employees in the following month. With a subscription model, making this adjustment is plausible. However, a license model restricts you from decreasing the number of licenses you already bought. The vendor will have no problem increasing the number of licenses you need, as you can see at the end of May. However, the new number of end users you reached will be the new minimum number of licenses you’re paying. In contrast, the subscription model can be adjusted. Below is a visual representation of the amount of money you can save with the subscription model. As you can see, an organization with changing variables can benefit from cost savings from a subscription model. 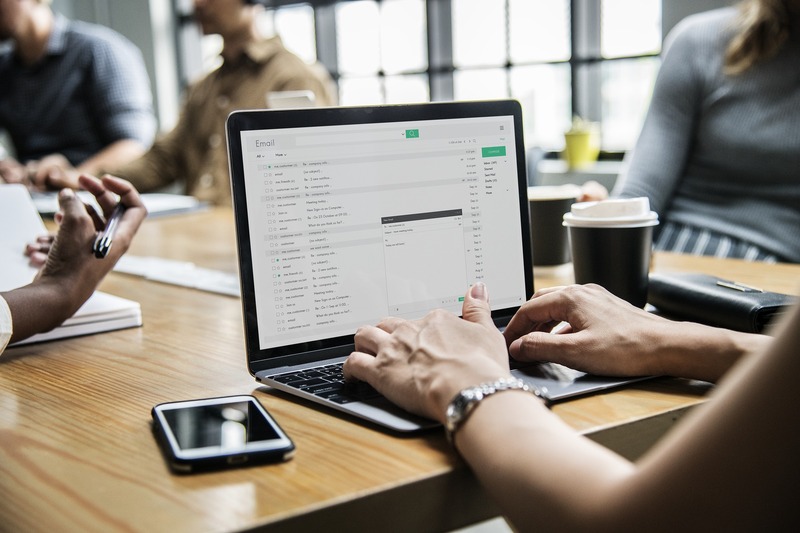 In some cases, vendors do not let you change the number of subscriptions as perfectly as you would like, but even if they impose some restrictions, there are still possibilities to optimize your costs. The simplest way to keep subscription costs down is to monitor the variables that affect the number of subscriptions you need. This includes the number employees, projects, and customers. Therefore, when one of the changes, the number of subscriptions can be changed as well. This usually requires cooperation from other departments and strong communication. Other than being informed on how many subscriptions people say they need, it is ideal to monitor if they are actually being used. Normally an extra number of subscriptions is ideal in case of sudden changes, but anything higher than that buffer can be removed. There is no such thing as perfect agility when it comes to saving on costs because there may be restrictions. However, it is understandable that projects change and you might be stuck with too many subscriptions. Things happen! Do not be shy to ask the vendor for a pass and remove the subscriptions! Ideally, investing in automating the management of your subscriptions would result in higher cost savings. Otherwise, the manual labor spent on optimizing the costs conflict with your goal. Currently, we still have the option to choose between permanent licenses and subscriptions. If your organization is relatively stable, permanent licenses may be the way to go. However, if your company is constantly changing, a more flexible option, like subscription-based software, is ideal. Choosing a cloud subscription makes it easier to switch from one vendor to another, automatic upgrades, faster deployment and usually no upfront costs. The benefits are evident, and as the evidence suggests, doesn’t have to be costlier when cost-saving strategies are implemented. These strategies for cloud subscriptions are increasingly important because vendors may not offer another option. How do you manage your software subscriptions? Are you going to try these cost saving tips?